Cabled observations are used in order to relay compromised data to scientists, particularly when located in remote parts of the ocean. They are ocean graphic research platforms which record still images or videos under water and are connected to the surface by undersea cables. By using these cables in comparison to sonar or radio frequency communications, cabled observations allow a persistent study of underwater. A single cable can support multiple observation sites and can then provide data in 2D or 3D at the surface. However, there are some major drawbacks to this method. Large quantities of information (images and video content) have to be stored and analysed in order to find the information scientists require. To help overcome this, a group of researchers in DCU’s Water Institute in collaboration with Insight, Centre for data Analytics and other universities in Ireland are carrying out a project on how to filter the information which is required in different scenarios. 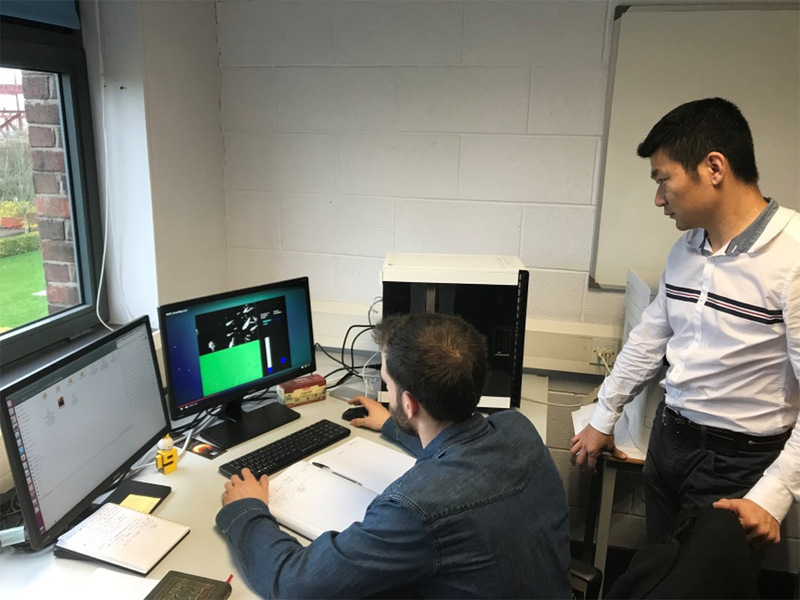 The project is titled: Understanding underwater video content, investigating object detection and recognition for the Smart Bay camera platform. The project is being carried out on the Smart Bay cabled observatory in Galway Bay. 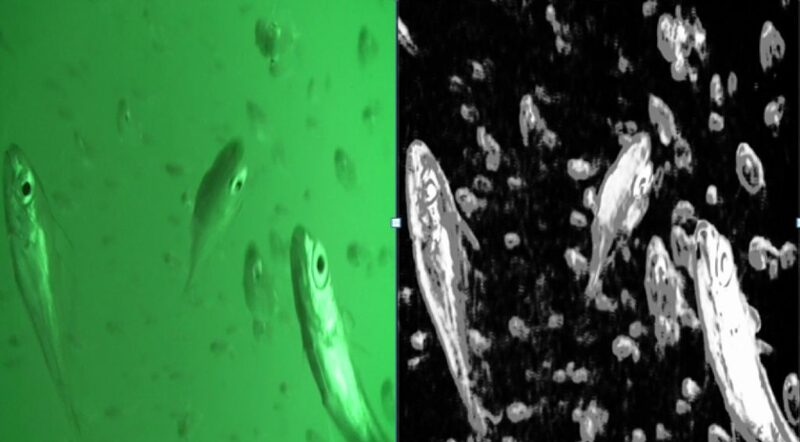 The long term goal of this project is to enable a higher-level knowledge exploitation of underwater imagery by semantic labelling and indexing of images and video data to improve data mining and retrieval. Object detection algorithms will be applied to the content from the underwater cameras. The result of object detection can be used to automatically identify potentially interesting video segments thereby reducing the amount of video content which has to be analysed. 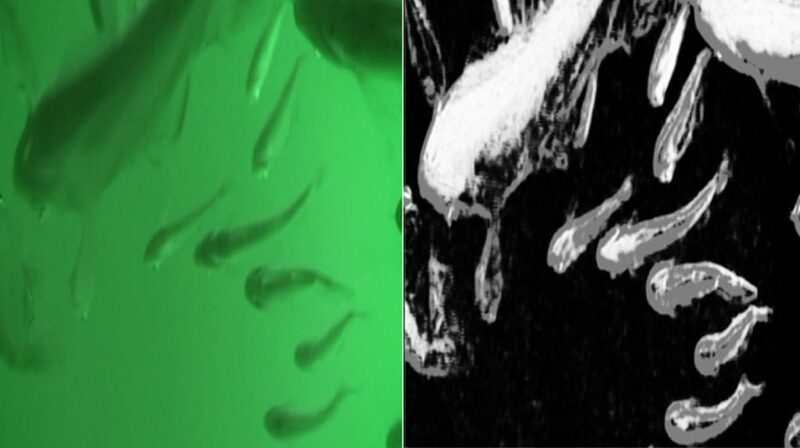 When applying the network to the still image dataset, the results provided an estimation of the density of the fish. However, when this method was applied to video content, the performance decreased considerably. The encouraging results obtained from the still imagery, lead the researchers to optimize the model and introduce regularization techniques and make it more generalizable in order to improve the quality on the video content. At present, the method to capture video content is done in a way that frames from the video are captured and it allows the researchers to train a model to analyse the content. However, the only drawback of this method is that the model needs to be re-trained each time new data is available.